How did you use the cubes to figure out the problems? To figure out the problems I used the cubes primarily to visualize what the peanuts looked like in each bag. I distributed the cubes in different piles to represent the bags. I then pulled in cubes to see what the other two bags would need to contain to achieve the mean of 8. How does this model help demonstrate what the mean represents? This model helped represent mean because you could visualize which number of peanuts was most common among the bags. It was easier to add to the existing pile of cubes to count and determine the missing amount of peanuts. How did you use the line plot to figure out the problem? I used the line plot in a very similar way as I did the cubes. The line plot was another way of visualizing the peanuts rather than just calculating numbers. I placed the lowest number of peanuts in the first place on my line plot and placed the highest number on the last section. This gave me a little insight of the range I was working with. I then plotted how to make the two empty bags equal 8 as a mean. The line plot model helps demonstrate the data as a representation of the mean in a way that students could see the peanuts as “heights”. This is a visual representation of mean working within data. What does an average tell us about the whole data set? The average tells us that if you replaced that number with any other value you would still find the same number. It appears that the children in both the case study and the video are still developing their sense of mean. In the case study, many students were getting close to the calculation of mean, such as Leah stating, “You must add up the numbers and see which one is the biggest”. In her case, she was a step right before dividing by the number of pieces of data. I was also very surprised to how much development must happen to fully understand mean beyond its algorithm. I was surprised to listen to the students in the video discussing average. They had a concrete understanding that average was a number of a data that was most “popular” or common. This shows the students understood the root of mean rather than only its calculation. Did you find the video helpful to understand student’s development? I could not find a news paper article pertaining to teacher salary, however I did stumble through Google to find information about salaries via teacherportal.com. Within this website, I found an article discussing how teachers earn salary growth overtime. The entry level salary in North Carolina is $30,778 and the average salary is $45,737. The entry level tells me how much the average person will make beginning a job. 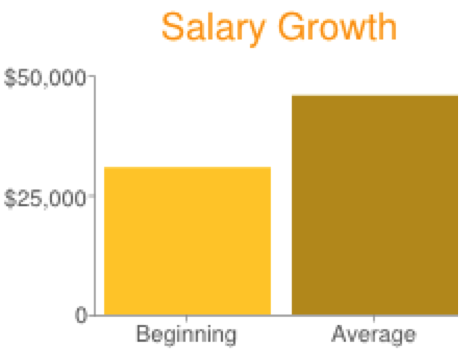 Whereas, the average salary tells how much most teachers will make at any level. This data does not however tell me how many teachers are included in the average nor does it tell me how long the teachers have been teaching. How can we use real life data such as this to help students understand averages? In my elementary classroom, I can recall learning about averages through mainly pencil and paper work. Unfortunately, I can remember average being a part of our EOG tests and figuring out the answers on scrap paper. I visualized average as real life scenarios through word problems rather than hands on, mainly regarding class grade averages. The way I learned was not mirrored with process standards or hands on activity. It is sad to say that the way I learned has reflected my understanding of this whole module. I have found myself struggling to visualize average in other ways rather than the number that occurs most commonly. How might I learn to be more open to average as hands on concept for the sake of my students? I am unsure if I believe grading on a curve is a good system to follow. Essentially when grading on a curve the teacher sets the point system to the highest grade received and assign it between the class average. Unfortunately, setting this curve has the ability to either make or break a student who may be borderline of a letter. If the curve is set to high, the student may receive a lower grade than what they would have if the curve was not in place. This gives incentive for students to achieve higher than what they normally would, in my eyes this does not address a true progress score. Do you believe that grading on a bell curve can be effective? Posted on February 16, 2015 February 15, 2015 by moore4her	Bookmark the permalink. I thought the video gave some good insights on how students think and how they build on concepts. I thought it was interesting to see how students gradually started to understand and make connections. Now by using real life data in the classroom, students will have a better understanding of it when they are faced with it in real life situations. I think that this is more useful for students because they have a purpose and a reason to learn it! To be more open to teaching hands on with average I think you should start doing it with areas that you are more comfortable with. This way when it comes to teaching average, you have the ability and skills to do so. Also, it is helpful to let the students take control sometimes while you guide them along. 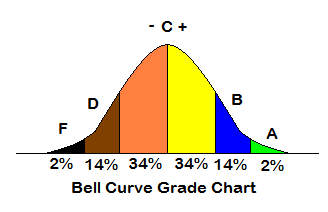 Lastly, I think that the bell curve should not be used in the schools. I do not think that students should be graded based on the average grade of the class. Those students who worked hard and did well on the test may not get the best grade they deserve. While those who did not try or study at all may get a better grade than they deserve.